"Greatest Christmas Ever! 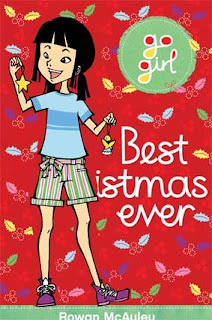 ", a new book in the Go Girl series is out in stores around Australia and New Zealand, published by Hardie Grant Egmont. 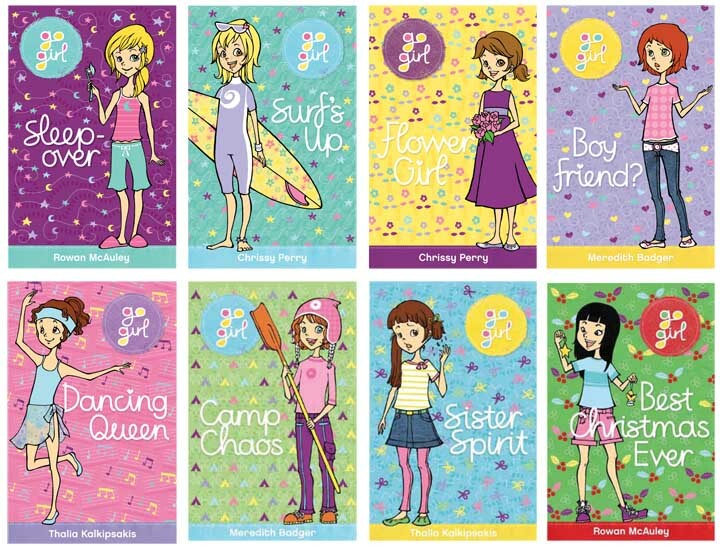 Unlike the other series like Billie B Brown and Lily the Littlest Angel, Go Girl books focus on one different girl character per each book. 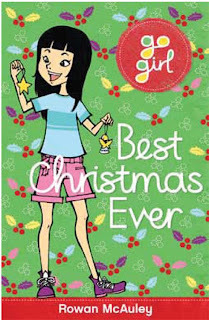 So the readers get to experience stories from many different view points and since all girls have different personalities, the readers will hopefully find it easy to see a bit of themselves or their friends or sisters in the featured characters. Also all the girls in the series attend same schools and you will see that many of the characters and teachers reappear amongst different books. I find it quite fun connecting all the characters as I read more stories, it's like connecting a bit puzzle. 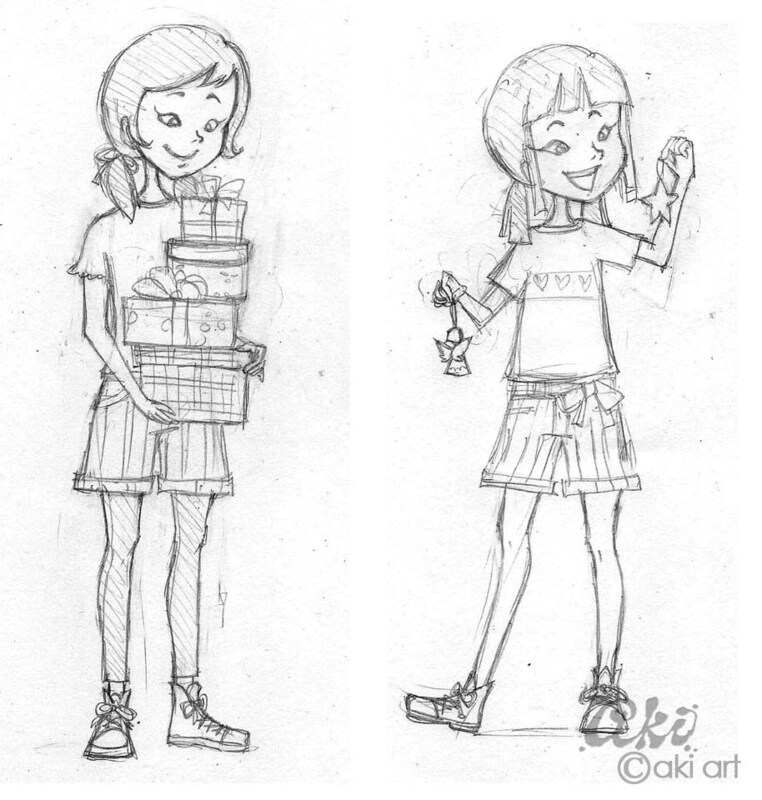 Anyway below are two roughs I did for the new character Ching Ching. 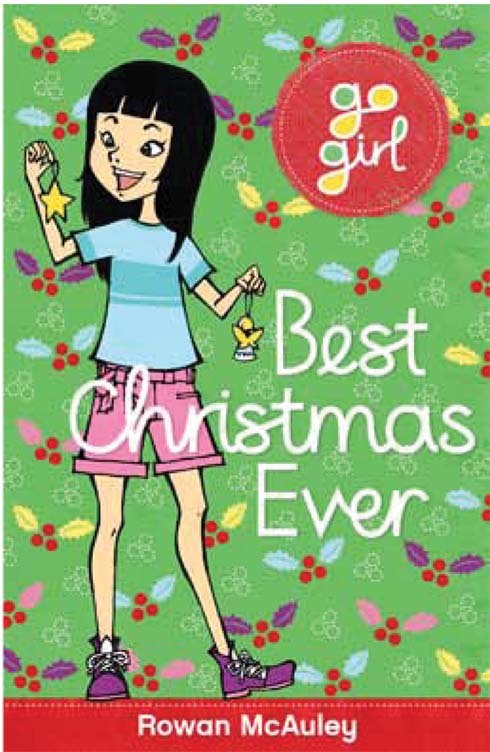 Actually she appeared in "Sleep Over", the first book in the series, But this is my first time illustrating Ching Ching. 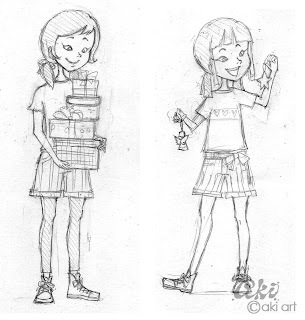 Above is the first version of the cover, eventually we settled on the final design below! What's on my working board now.